The residents of El Segundo, California, have been suffering recently. Over the past several weeks, a blue four-door Chevy Aveo has allegedly been driving around the slumbering neighborhood in the early hours of the morning and blowing an actuated air horn and shattering the peace. 27000. (a) A motor vehicle, when operated upon a highway, shall be equipped with a horn in good working order and capable of emitting sound audible under normal conditions from a distance of not less than 200 feet, but no horn shall emit an unreasonably loud or harsh sound. An authorized emergency vehicle may be equipped with, and use in conjunction with the siren on that vehicle, an air horn that emits sounds that do not comply with the requirements of this section. The better solution was to involve those citizen’s who had previously contacted the police and were willing to be victims of Penal Code 415 PC-”disturbing the peace.” This is an offense that...depending on the circumstances...prosecutors can charge as a misdemeanor. The driver was identified as John W. Nuggent, who was clearly enjoying himself by the looks of his mugshot, and his Chevy Aveo was impounded. The El Segundo Police Department’s Facebook page ran an exultant update on the matter, which was met by overwhelming joy from the residents. “It was this idiot that’s been waking us up!” typed another, probably hitting the spacebar with unnecessary force. 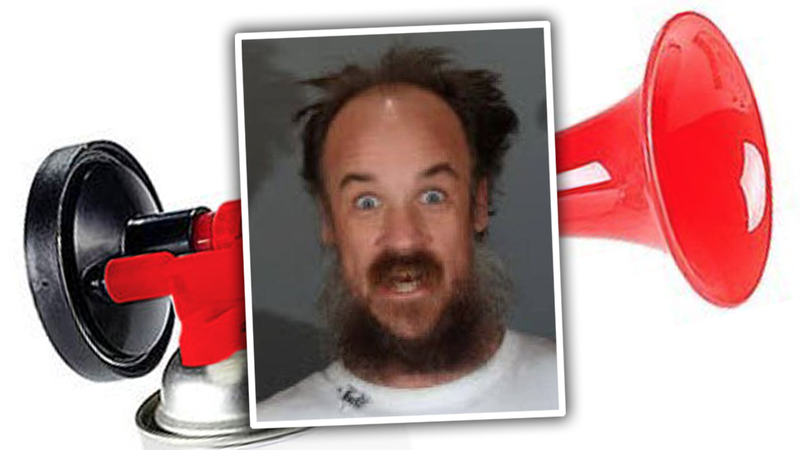 The Los Angeles Times called the El Segundoans “ecstatic” at the arrest. The Daily Mail suspects that someone in the neighborhood “wronged” Nuggent and the air horn was his version of revenge. But we know better. Little do the residents understand that repeatedly having their sleep disturbed is good practice for the various fight-or-flight scenarios that living in El Segundo entails. The people of that small strip mall and office complex community must be hardened for the unpredictable threats that plague the area.